Mold in your home or business is a hazard to health and property. 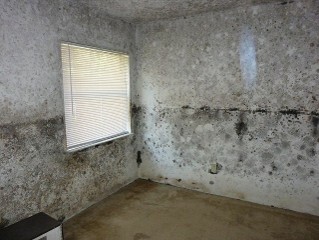 Mold destroys everything it grows on and produces micro-toxins that affect our respiratory systems and irritate skin. 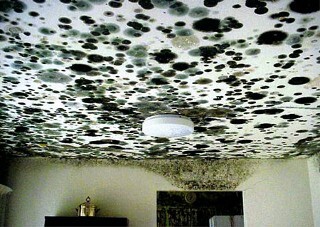 The longer the mold is allowed to grow the bigger the problem is to your health and dwelling. Water is the key to mold growth and without it mold cannot grow but if you eliminate the water you do not solve your mold problem. Even so called dead mold left in a building releases micro-toxins that cause respiratory and allergic reactions. If you have mold in your home: crawlspace, basement, attic, living room, family room, den, bathroom or bedroom the mold must be physically removed under strict containment with proper PPE (personal protection equipment). Our technicians at Abatement solutions have the certification, training and experience to handle all mold remediation and removal issues while protecting you and your property. Abatement solutions Inc is a small boutique family business but don’t think that we cannot handle your large jobs. We guarantee all our work and provide courteous personal service. Give us a call for all your mold problems and we will present you with a no cost consultation and if it is determined that you need an inspection we will provide you a free in home visit, estimate and protocol. We do not have sales people our employees are certified mold technicians and trained to inspect, analyze and remediate your mold problem in a professional and respectful manor. There is no pressure or fear tactic tolerated and the person that you meet with will be present throughout the complete remediation process. You do not have to worry about point of contact for each phase of the project or who will be in your home supervising the crew.